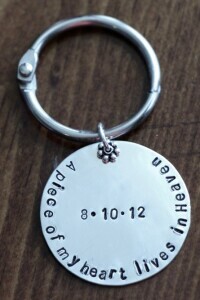 Home / Archive by category "keychains"
Looking for a graduation gift for him? 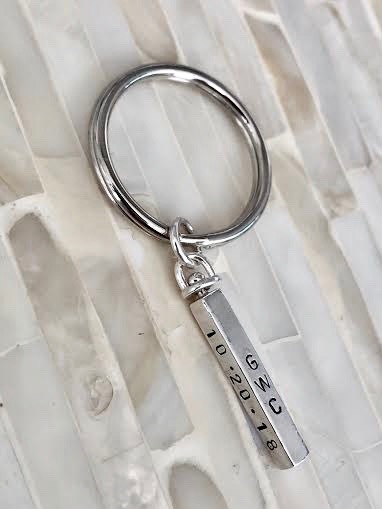 This keychain was personalized with ‘be safe’, his monogram and graduation date to take wherever he goes. 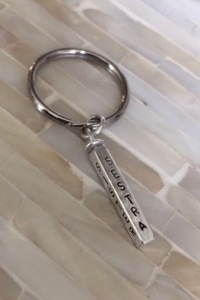 This four sided bar keychain personalized with sister, sissy and sestra, which means “sister” in several languages such as Ukrainian, Croatian and Czech. 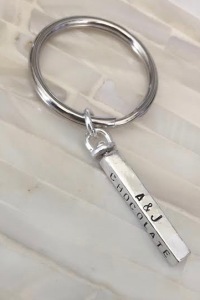 The sterling silver four sided bar is hand stamped on each side with a name, date, hobby and inspirational words – a perfect gift for someone special to carry with them always. 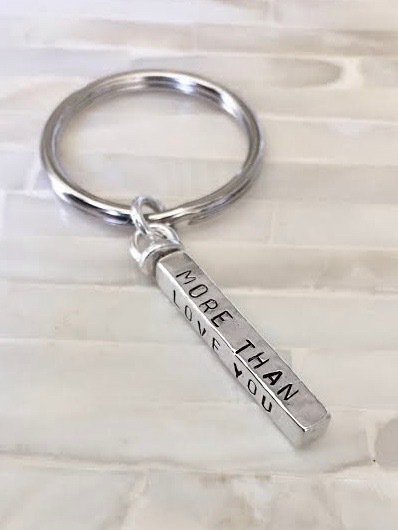 Looking for a custom remembrance gift for him? 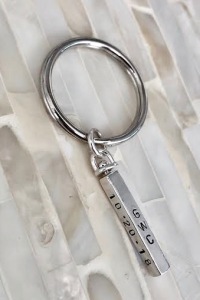 Personalize a memorial keychain with the name and dates of a loved to honor wherever he goes. 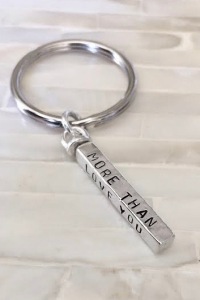 Customized with ‘a piece of my heart lives in heaven’ and a wedding date, this keychain was given for a loss of spouse memorial gift. 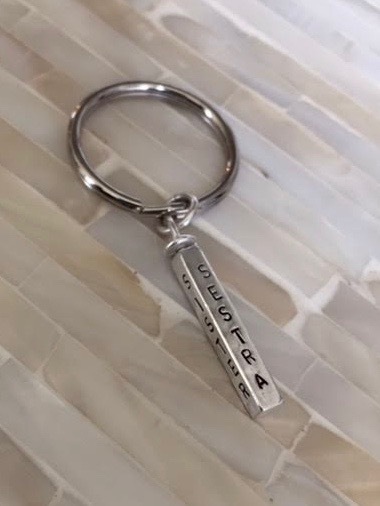 The Sterling silver, hand stamped keychain measures 1.25.″ Personalize with a custom phrase up to 28 characters around the frame of the charm and with a date or name across the center.